The largest population of our country looks for the government jobs. Every year the Staff Selection Commission conducts national level exams for recruitment of candidates in various posts in different government departments. Large number of candidates appears for SCC GCL exam with an aim to qualify it and make their name to the final merit list. 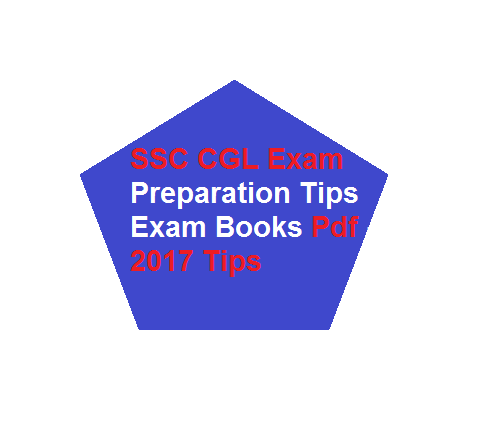 For SSC CGL exam candidates start their preparation according to the syllabus. There are number of study material which one can refer for their preparation. Officials finally releases notification for CGL and now time to download and appear in the SSC CGL Exam because SSC CGL Exam is the most lovable and important exam of India. Over Lacs Plus students every year appear in this SSC CGL Exam and now time to check and download online Full study material as well as Preparation tips for SSC CGL Exam. Newspaper such as Hindu, Times of India, Hindustan times etc. It is very important to read the syllabus and exam pattern of the exam before begins with the preparation. _Begin the preparation topic wise. One by one cover all the topics in given time. Try to complete all the topics of subjects before time. After completing studying all the subjects give yourself time to again revise all the topics before exam. Put more focus on the weaker points of the subject. Solve SSC CGL previous year question papers to get idea about the framing of questions and in most cases previous year questions again repeat in the current year examinations. Make a time schedule in such a way that one cover all the topics in given time being. It is very important to manage your time accordingly during the exam. There is total 24 hours in a day and in most of the cases candidate not able to complete their preparation so manage you time accordingly. Be confident and don’t stress yourself. Take intervals in between the study schedule. Drink lots of water and exercise daily for relaxation. _At last, we wish you all the best for the exam. Start you preparation without hesitation.